By Umer Sultan| Dignity is in adhering to the Qur’an and Sunnah, as understood by the Sahaba-the Companions of the Prophet Muhammad-the Seal of the Prophets. As some of you may know, I have been following this cult of Zaid Hamid in Pakistan. I also posted twice on this subject at my blog (here and here last year), both of which were re-posted by the Zaid Hamid Exposition [ZHE] team at their website. After more than a year of exposing and consolidating evidences against him by the ZHE Team, on November 30, 2011, the Ulema (Islamic Scholars) of Pakistan at Jamia Binoria, a well-known and leading Islamic Seminary, gave a detailed verdict (Fatwa) that Zaid Hamid, also known as Zaid Zaman Hamid, and those who follow him are outside the fold of Islam, hence ‘Kafir’ or dis-believers. Thus adding the word ‘Kazzab‘ meaning liar with Zaid Hamid’s name. Those who can read Urdu, link to the detail verdict is given below. I will talk about it soon in shaa Allah (God willing) but let me give a brief history on Zaid Zaman Hamid-Kazzab. 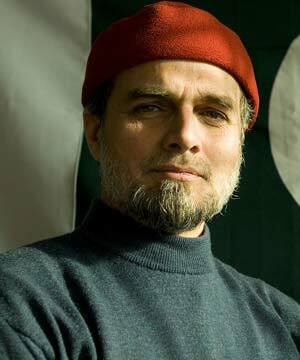 Zaid Hamid presents himself as a defense analyst, calls himself a Mujahid (claims to participate in the Jihad against Soviet Union in Afghanistan), calls himself Aashiq-e-Rusool (having immense love for Prophet Muhammad), and is known for dropping war mongering rhetoric against India and American forces in Afghanistan. He has repeatedly said that the Khilafah needs to be established in Pakistan (something that Ulema-Islamic Scholars never preach). The sanctity of Ramadan is meaningless for them. The open doors of Heavens are meaningless for them. Seeking forgiveness for the past shortfalls and asking Allah for guidance is meaningless for them. What is meaningful for them, however, is to shed blood of their Muslim brothers because Allah had created them into different languages and ethnicity. I am not talking about Syria in which the government forces are shooting down the Muslims praying in the Mosques. I am talking about the situation in Karachi in which over 300+ people have died and counting, where the city has been hijacked by mainly two secularist-ethnic nationalist parties-ANP- Awami National Party (Pathan) and MQM- formerly Muhajir Qaumi Movement (Muhajir). Target killings are the norm in the city, and the sins of the dead & their families is that they belong to one of the two ethnic groups- Pathan or Muhajir, or they happened to be the bystanders, where as, the PPP-Pakistan Peoples Party, is having a low-profile in the conflict. Sheikh Yasir Qadhi answers the mind troubling questions of American Muslim Identity: Can you be a Muslim and be an American at the same time? Is there a clash? Is it permissible for a Muslim to have his/her allegiance to a nation-state. What are you first? An American or a Muslim? Do Muslims have to live in a Islamic State? Can Muslims live in a Kufr State (non-Islamic or non-Muslim State), use the kufr system to defend themselves in the Kufr State? What is the difference between the concept of Ummah and Qaumiyat (nation or community)? 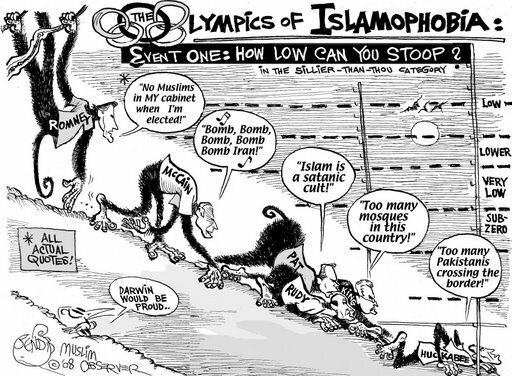 Muslims residing in the Non-Muslim nation-state, can they be patriotic to their country? Is America a Christian State? What American Muslims should say if some one asks them that why are they in America? Can American Muslims be loyal to America? 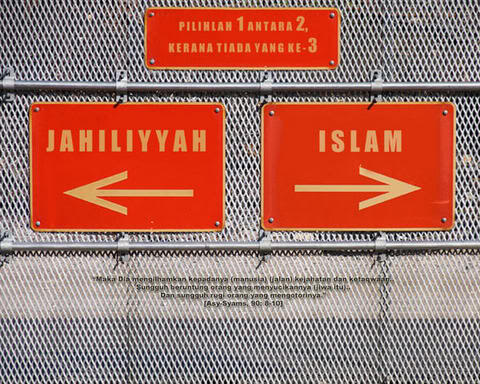 Is there a clash of loyalty between Islam and America? Can American Muslims be proud Muslims and patriotic Americans at the same time? And is this permissible in Islam? My friend wrote this short but deep poem about the beauty of Religion. If you like it, please share it and leave a comment. “Out of France, Jews!” That was late 19th Century and Now its Muslims! 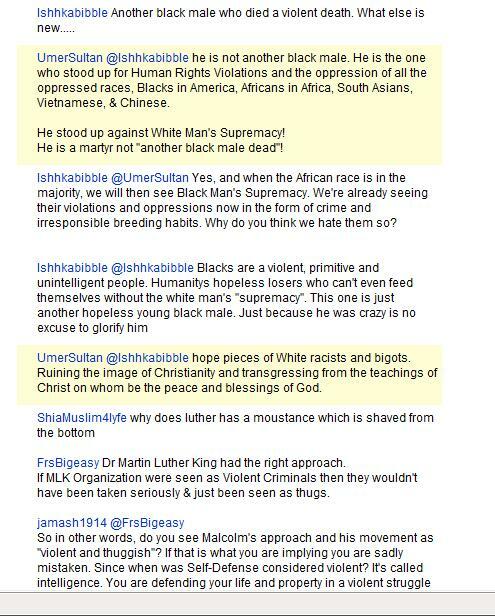 Today I was watching Youtube videos of Al Hajj Malik Al Shabazz- Malcolm X that I was referred to by a friend. I just realized while writing this post that my comment response was with the intention of defending Malcolm X. I didn’t realize that the video is actually of Martin Luther King. I mixed it up with another video I had open. The comments can be seen somewhere here. What is the Purpose of Learning Hadith?